Many webmasters and technically inclined internet specialists will tell you that a web server is only as valuable as the control panel used to administer it. Without a good control panel, the web server is practically useless, at least to the average webmaster. Control panels simplify the administration of complex tasks that are performed every day by web servers. Since these applications are in such high demand, it is easy to see why the control panel industry is so competitive. With every control panel claiming to be the best, we deemed it necessary to provide a comprehensive comparison of the 4 top competitors in the control panel industry. cPanel is by far the most recognized name in the control panel industry. There exists no other control panel that can compete with the overall popularity and simplicity of cPanel. In fact, the words cPanel and control panel have become practically synonymous. The popularity of cPanel has created somewhat of a snowball effect, in that the large population of users is what continues to increase its popularity. As more people utilize it, more people publish tutorials on how to use it, then more people want to use it. However, what made this control panel so popular to begin with? If the main attributes of control panel had to be summed up into two simple words; simplicity and functionality. cPanel is one of the only control panels that can be learned in less than an hour, using only videos found on YouTube. Plesk is a close second to cPanel, for the simple fact that it is one of the few control panels that is fully compatible with both Windows and Linux based servers. As Microsoft based applications become increasingly popular in today’s market, so does Plesk, as it is very compatible with programming tools such as ASP, IIS and MS SQL. If the main attributes of this control panel had to be summed up into words; efficiency and stability. Parallels Virtuozzo Power Panel is another control panel that offers both Windows and Linux solutions. This control panel allows users to administer server functions directly from within the browser interface. Users can reboot servers, manage and analyze server data, and complete just about every other basic server function within their favorite web browser. As far as VPS hosting is concerned, Virtuozzo is by far the most capable control panel solution. ServerCP is a Linux-based simplified control panel that is often seen in the VPS hosting environment. This control panel offers a user-friendly yet extensive and feature-rich administrative interface. ServerCP lets users manage an unlimited amount of domains, and offers a simple installation application that makes the process of installing your favorite web applications quick and easy. This control panel is offered in two forms, the standard version and the lite version. All four of the above control panels have proven themselves to be capable solutions, and the ultimate decision should be determined based on the need for certain features. Before making a final choice, I’d recommend you check out the full features list of each control panel, and conduct the necessary research. You are right, these control panels are most popular. 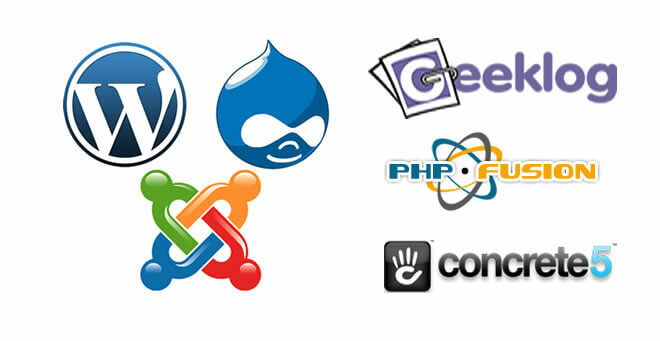 However, there is also one solution which is used by some web hosting companies. This solution is developing own control panel. Since the price for the most popular Cpanel is very high it may be very good idea to invest in your own CP development. This way allows to save a lot of money in the long run and offer lower price or invest the money in some additional features.